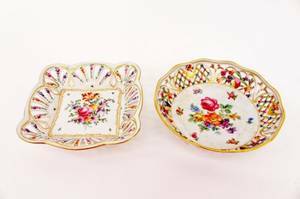 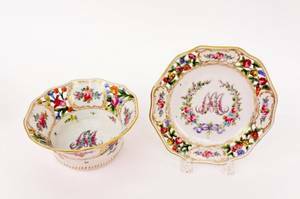 Two Dresden reticulated porcelain dishes with hand painted floral motif with gilt accents. 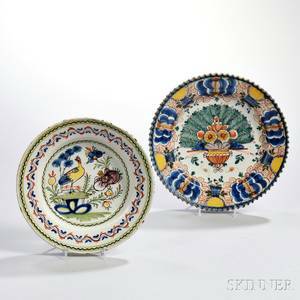 One of circular form, the other of rectangular form. 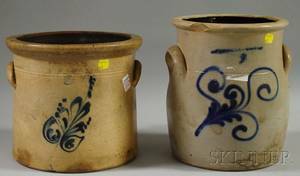 Both marked on bottom. 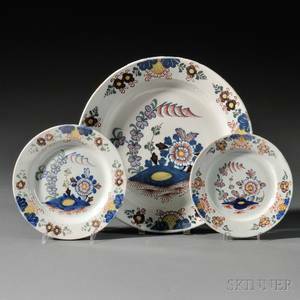 Diameter of circular dish 6.6". 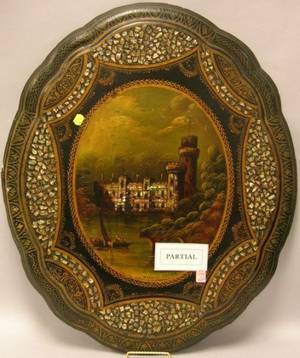 Rectangular dish 6.25' x 6". 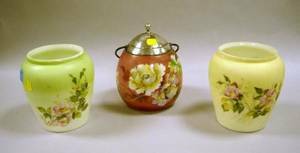 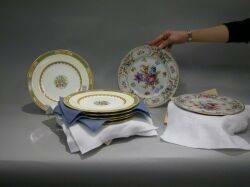 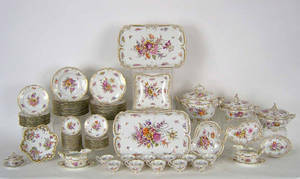 Two Meissen Floral Decorated Porcelain Cups and Six Saucers and a Set of Six Dresden Porcelain Plates and Eight Small Plates. 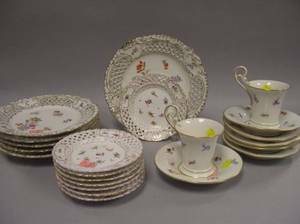 Set of Eleven Mintons Porcelain Dinner Plates and Six Schumann Dresden Floral Decorated Porcelain Dinner Plates.